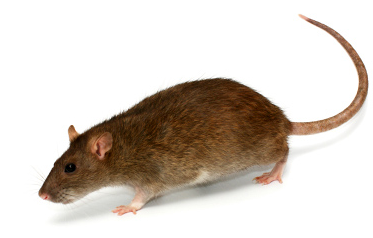 Rats and mice that are common throughout Australia include the Black Rat, Brown Rat, and The House Mouse. The main difference between rats and mice is their size: a rat’s body is longer than 12cm. They have 2 main feeding periods: in the evening, and before sunrise. They eat both animal and vegetable-based foods – but prefer cereals, protein, and high fat food such as butter and chocolate. Their movements depend mostly on 3 factors: Climate, food, and cover. Why are rats and mice a danger? Scratching / Noise: noises in walls, under decking, or under floors as they search for food. Gnawing, squeaking, movement behind walls, in cupboards, under floors, or in the roof. Faeces / Distinctive smell: they leave behind droppings which have a strong smell, especially in closed spaces such as sheds, garages, and cupboards. Damage: they chew through any material such as woods, plastic, cables, wiring, and some metals. Pets: your cat, dog, or bird may get more excited than usual. Rats and mice live indoors and outdoors. They generally come out more at night and are most common in late summer and early autumn. There’s a major problem if you see them during the day – they’ve found a food supply! Look for areas where rats and mice might enter and block those entrances with steel wool, heavy gauge sheet metal, or a hard setting filler. Don’t use open compost heaps. Make sure rubbish bins have tight lids and are emptied regularly. Want to prevent or rid of rodents? Do you think you may have mice or rats at your place? Would you like to prevent them from becoming a problem?